And that’s not even Melbourne. It’s the QVB in Sydney. The closest thing we have to a stately mall in Auckland is probably the Queen’s Arcade. We also have the Atrium on Elliot, however. It has a series of coloured lights projected onto the floor, which zoom around from time to time. Once, Betty tripped over one of them. We try not to go there often. 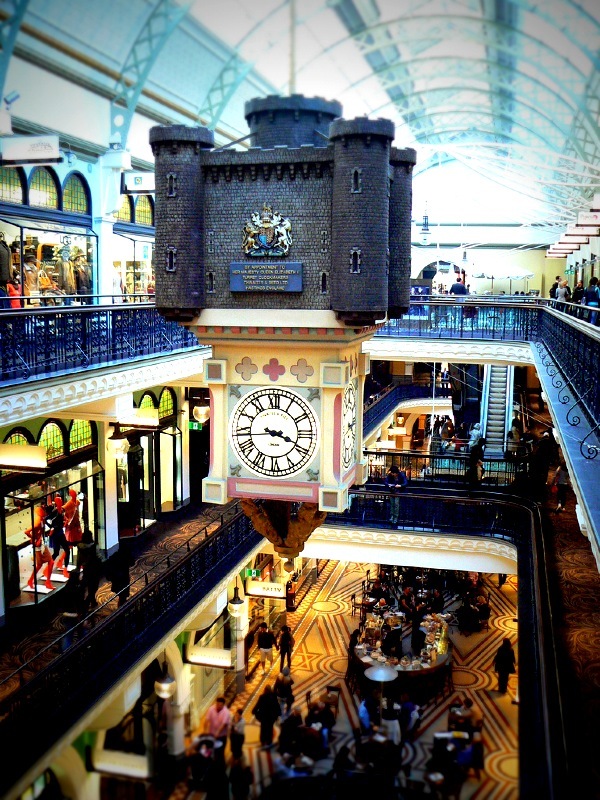 This entry was posted in Auckland, Photos and tagged Atrium on Elliot, Auckland, Melbourne, Queen's Arcade, QVB, Sydney.